MILAN -- China National Chemical Corp. (ChemChina) will buy into Pirelli, the world's fifth-largest tire maker, in a 7.1 billion euro ($7.7 billion) deal that would place one of the symbols of Italy's manufacturing industry in Chinese hands. But the bid may turn into a protracted takeover battle after ChemChina bid 15 euros a share for Pirelli, just 4 percent higher than Pirelli's price on the last day before talks became public last week. Shares in Pirelli rose as much as 3.5 percent on Monday to 15.76 euros -- above the offer price, with some traders pointing to expectations that ChemChina may have to lift its bid to win over shareholders. If successful, the deal will give ChemChina access to technology to make premium tires, which can be sold at higher margins, and give the Italian firm a boost in the huge Chinese market. The Chinese company and its partner Cam Finanziaria -- Pirelli's largest investor, which is partially owned by Chairman Marco Tronchetti Provera -- have a high threshold to end the Milan-based company's public listing as planned, needing to secure 90 percent of Pirelli's stock for the move. The tender is expected to start this summer, according to the agreement. "Minority shareholders have a lot of power in their hands," said Vincenzo Longo, a strategist at IG Markets in Milan. "The price offered isn't giving them the expected premium." Banca Akros said in a note: "The success of the likely public offer at 15 euros cannot be taken for granted." The deal would give Pirelli, whose tires equip cars in Formula One motor racing, more bandwidth to compete against larger rivals such as Michelin and Continental which are looking for growth in Asia. The deal was agreed with Pirelli shareholders on Sunday. ChemChina agreed to pay 15 euros a share for the 26.2 percent of Pirelli owned by Cam Finanziaria, or Camfin, the companies said in a statement. ChemChina will then make a public tender offer for the rest of the tiremaker at the same price. 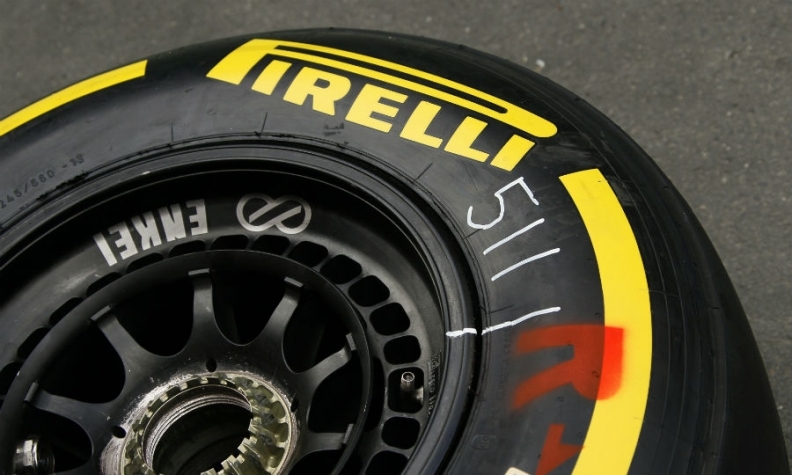 The bid price values Pirelli at about 7.1 billion euros. The agreement calls for China National Chemical Corp, as ChemChina is formally known, to hold at least 50.1 percent of Pirelli and Camfin as much as 49.9 percent. The deal would be the biggest Italian purchase by a Chinese company. If the partners fail to reach the 90 percent needed to take Pirelli off the market, there is a more complicated alternative. With a stake of at least 66 percent, ChemChina could merge its holdings with Camfin and force a delisting, according to analysts. Even with the clout that smaller shareholders have, the ChemChina deal is likely to be the only game in town. Prospects of a counteroffer for Pirelli look "limited" because of the "strong" agreement between Camfin and ChemChina, IG Markets' Longo said. Provera, 67, who is a part-owner of Pirelli, would remain chief executive officer under the deal, while ChemChina will appoint a new chairman. In 2013, ChemChina generated revenue of 244 billion yuan ($39 billion), according to its website. ChemChina will carry out the transaction by its subsidiary China National Tire & Rubber Co. The deal is the latest in a string of takeovers in Italy by cash-rich Chinese buyers, who can take advantage of a weak euro just as signs emerge that Europe is coming out of economic stagnation. The bid also marks a return of China's state-owned enterprises (SOEs) to global dealmaking following a hiatus prompted by President Xi Jinping's anti-graft crackdown that targeted several current and former senior SOE officials. It would be China's fifth-biggest outbound deal by an SOE, according to Thomson Reuters data, and the first major acquisition since China's MMG led a consortium last year to buy the huge Las Bambas copper mine in Peru from Glencore. The bid will be launched by a vehicle controlled by the Chinese state-owned group and part-owned by Camfin investors, who include Provera, along with Italian banks UniCredit and Intesa Sanpaolo, and Russia's Rosneft, Camfin said in a statement. ChemChina envisages taking Pirelli private. Pirelli will keep its headquarters in Italy and may be re-listed in four years. Camfin said on Sunday that Pirelli's less profitable truck and industrial tire business would be folded into ChemChina's listed unit AEOLUS, allowing it to double its output. Pirelli was founded in Milan in 1872 by Giovanni Battista Pirelli. Over the next century, it expanded into cables, telecommunications and real estate. In 2001 under Tronchetti Provera, Pirelli engineered a takeover of Italy's biggest phone company, Telecom Italia. That holding was sold in 2007 to return Pirelli's focus to tires on the so-called premium segment, including tires for Formula 1 race cars. Earnings before interest and taxes rose 6.8 percent to 838 million euros last year, with revenue of 6 billion euros. Previous Chinese acquisitions in Italy, the eurozone's third-largest economy, include stakes in power grid firms Terna and Snam, turbine maker Ansaldo and luxury yacht maker Ferretti.